Can't wait to use this one with a few others at the beginning of the year to talk about a "readerly life". I'll use this book to talk about how books make us feel. This was my surprise read of the week. Reminds me of Ed Emberly's Go Away Big Green Monster with the little cut outs. Loved the ideas the ants came up with - great for description, word choice, adjectives! Cute story about a boy comparing American and Japanese baseball. I liked the author's notes at the end. Add this story about Eileen Perkins and her determination to navigate and sail the open seas. Another good text to add to your strong American women unit! Thanks to Crystal (@librarygrl2) for sharing this one originally. 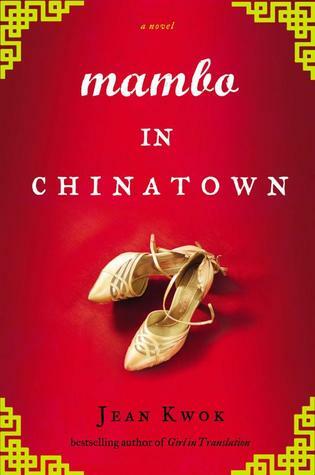 I had read at least one story that Anna May Wong had been mentioned in (by Lisa See), so I was interested in learning more. This biography showed how her perseverance during a time when American was biased against Chinese got her where she ultimately dreamed of being - on the silver screen! My goodreads review: I really enjoyed reading this biography because it portrayed the author of The Little Prince, Antoine de Saint-Exupery, in a manner different than expected. de Saint-Exupery lived a much different life than I had previously known, and Sis does an amazing job detailing de Saint-Exupery's passion in such a fascinating way. I loved the basic text about his life, but it's really the illustrations that bring this book to life. Sis makes the captions in the illustrations so different than usual informational texts, I found myself pouring over each one. It was a joy to read about someone who followed their true passion and made it a reality. I finished listening to this book this week. I really enjoy the "Powerless" series. I haven't heard as much about this series out on Twitter and on blogs, but I highly recommend it, especially for reluctant boy readers. It has a mystery, suspense, high action, super heroes. Both Powerless and Super are great reads. Can't wait for Villainous, the conclusion of the trilogy, on Aug. 26! I really enjoy this author. She has written 2 books that I highly recommend. If you've read and enjoy Lisa See, you'll enjoy Kwok's stories. This one centers around ballroom dancing, which was enjoyable for me! getting ready for #sharpschu on Wednesday! I had to take a break from this one to finish a few others, but I really like it so far! I love Donalyn's writing style. It's straight forward but driven by such passion and energy! I'll be posting my final #cyperPD post about this amazing book on Wednesday. I hope you've been able to check out some of the conversations people have been having. It's amazing getting to read everyone's thoughts and comments. Still reading my 2 other professional books, but have gotten farther in them! Hope you've had a great reading week! I love this weekly post because it has added to my nonfiction reading. But sometimes it takes me seeing a book a couple of times in a post before I pick it up. All of the books I'm spotlighting originally were reviewed on someone else's blog or their Goodreads post. I'm showing them again because maybe for you, seeing it here will be what gets you to read the book! Florian shows his unbelievable (or should I say unBEElievable?) talent by writing these poems and illustrating them in his unique way. Each page has a poem detailing the bee community - the queen, the drone, the worker bee, etc. There are even some on beekeepers and about how many bee communities have been disappearing. Each poem has some accompanying facts about the poem topic. The poems are written so even our young readers will learn something new and enjoy the rhythm and fun word play in them. I read this book in particular for the bee poems. One in particular would be great to share if you are a doing a bee unit - "Honeybee Dance" is a sweet poem that shares with the reader the importance of the dance a honeybee does and the purpose of it. The poems in this book are told in 2 voices which begs young readers to have fun reading with each other! At the end of the book, the author ties together all of the topics from the book by explaining how each rely on the other in order to grow! Great narrative informational text about the scout bee and the important work it does for the hive. I think narrative informational texts have an important place in the learning for a young reader. They still aren't ready for some of the cut and dry nonfiction reader and they are most comfortable with fiction texts. This one is great for teaching information while reading a story. And if that's not enough, the author adds bits of information on each page to add to the learning! I read this book awhile ago but reread it for this post. This is the first book I read that looked into the missing bee epidemic. I really like the question/answer format of this book. Sunday Cummins also has a great close reading activity for primary students on her blog using this book. Another fantastic text that gives a variety of explanations as to why honeybees are disappearing. The first book I would use in a K-2 classroom, this text is a bit longer, goes into more detail, so I would use it in 3-4 classroom. It's been very interesting reading these books and since this was a new topic for me, it's been very telling how I kept taking knowledge I had learned in previous books and applied them to my current book. This book had fantastic photography and the text was laid out in a child-friendly manner. Great notes at the end of the book, as well. For even more great bee titles, check out Carrie Gelson's post on bees! 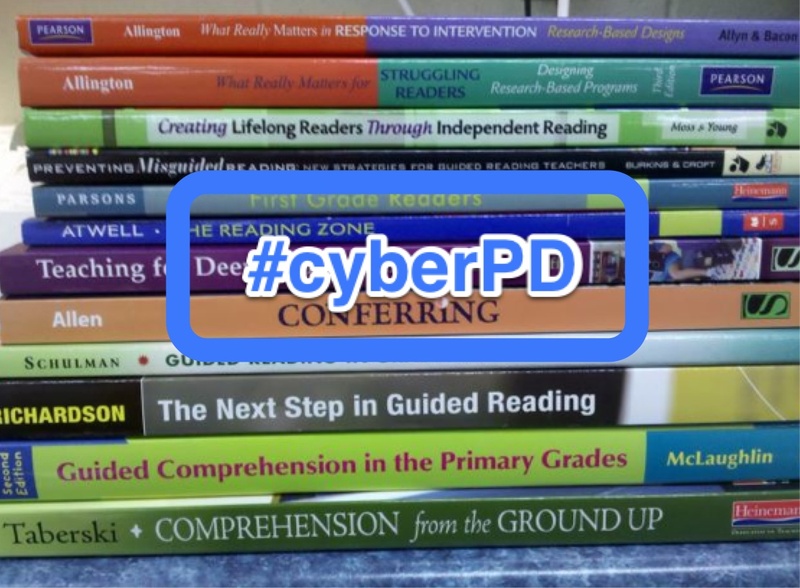 It's on to week 2 for #cyberPD. Last week it was amazing going back and reading everyone's posts about the first two chapters of Donalyn Miller's fantastic Reading in the Wild. The conversation is mind-stimulating and thought-provoking. I hope it's given you something to think about! This week our posts will be rounded up on Laura Komos' blog HERE. Can't wait to see the conversation! "We must show our students what a wild reader looks like through our example." * "If we want children to read more, we must provide them with classrooms, libraries and homes where reading is the norm." Again, like last week, I'm thinking that yes we have classroom libraries, but we need to be more explicit about them. There needs to be more discussion about them, what books are in them, how and when we read, share and talk about those books. * Start including book recommendations in newsletter and bottom of emails (in the signature). By sharing what you are reading, someone can pick up on it! * Show what you are reading: signs on doors (made by you and students), kids can put signs on their lockers to show what they are reading. * During morning announcements have a student share what they are reading or a recommendation. * Let kids bring home books from the classroom library, not just the school library! * Re look at homework... what homework is necessary? What is beneficial? I liked the idea of a "page log" - kind of like Status of the Class. * Think about what you do when you read a book... do you make a diorama? Write a book report? What authentic, organic ways can kids share their reading? * I loved the idea of taking pictures of kids holding up a recommended book and putting it in a digital frame. * "If we want children to read more, we must provide them with classrooms, libraries and homes where reading is the norm." I think families are so busy nowadays, that reading has taken a back seat to so many other activities. While other activities are important, it's imperative that families figure out where reading can fit in. I thought most of this chapter was geared more towards what we can do at school to help promote sharing and talking about books. However, what we do at school, will help this wild reading behavior increase at home. "The most effective reading teachers are teachers who read." 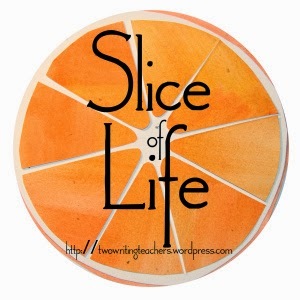 "Teachers who read for pleasure are more likely to employ best literacy practices in their classrooms than teachers who do not read for pleasure." "The difference between readers and nonreaders is that readers have plans." "Planning for future reading provides students with direction and purpose, reinforcing that they are readers today and will still be readers tomorrow." Wow. Powerful statements. But how many times do we stop and talk to our students about this? I started doing this more last year after reading this book the first time. It was a start and I'm hoping to build upon that this year! Another big statement for me was thinking about this statement: when students are always told what to read... which leads to this question: how do students develop ownership for reading when they are never given ownership? 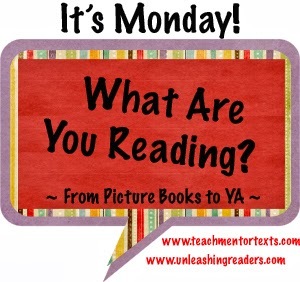 Who are students reading for? * make plans for reading over break and then follow up with students upon return. Make sure they have books to read - let them take books home! 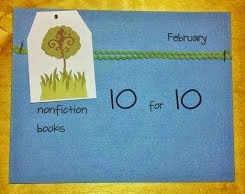 Make lists of books to read. Set goals for over break. * Talk to students about their reading. Ideas for older students: book challenges, book gaps, goals, must-read list, book-a-day or 40 book challenge. 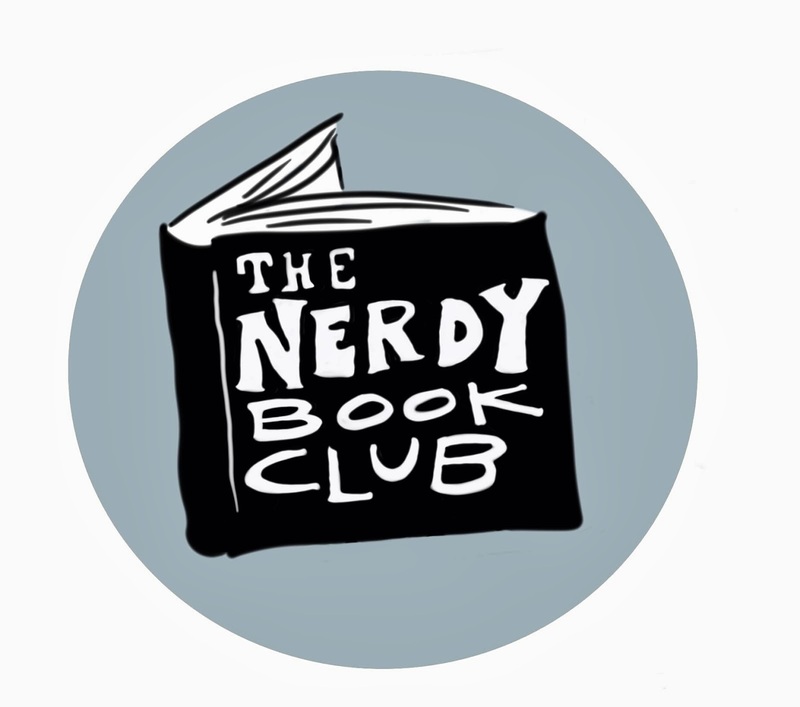 Ideas for younger students: genres, book-a-day (reading or listening), reading series. * Encourage students who read the same book at some point in the year to talk to each other about it - encourage conversation! It leads to community! What keeps coming back to me over and over is being explicit with our students. We cannot expect all students to have a readerly life, or for them to even understand their reading preferences. By explicitly talking about them and making them known, kids will understand more about themselves as readers - a book identity! What stuck out to you this week? Can't wait to see your thoughts! "It's like falling off a bike", nope, wait, I think the saying is something about "it's like riding a bike". But this story is different. It's about falling off a bike and getting back on. It's about reading being hard, but keep trying. So... as I mentioned in this post I fell off my bike last week. Let me first back up a little and give you some background. Back in 2008 I was a "recreational" working out type of person. I went to some aerobic classes, did some running and swimming, went to spinning and lifted (raised?) weights (small ones). But the people at my gym were hard-core fitness people - marathoners, Iron Men... and they were all very nice people. I decided to be like them. I originally wanted to try a tri, after all, my strength is the swim. My friend, who I had coerced to join me on this endeavor, said no swimming. We decided on a half marathon and if you're going big like that, might as well do it right and do your first 1/2 at Disney! Well, 3 marathons, 11 half-marathons and I don't know how many 10ks and 5ks, my legs hurt. I don't want to not train for something, after all, that's where I get my goals from, so I decided to go back to that originally idea and try a tri! As I said, swimming is my strongest of the 3, so I feel confident there. Biking, well, I'm good at spinning so I should be ok, right? Then I went to the bike shop and saw the bikes with their little hard seats and their little tires (seriously, have you seen how skinny road bike tires are??). My first thought was I would get pedals that have the cages so I can slip my shoes in and out, but all of my tri friends convinced me clipping in is smarter and more efficient. Fast forward to now. I've gone out on my bike 3 times. Not much. But I've learned I'm scared to death of traffic and I'm really scared of the clipping in and out part. I can get my shoes in and out of the clips, it's the timing that is hard. It's easier to clip out when your foot is on the down pedal cycle than up. I've learned that I like to coast with my right foot down, but when it's time to stop, I like to put my left foot down on the ground first. All of this takes coordination that I haven't mastered just yet. Last Wednesday I went out on the road for the first time. I focused so hard when we came up to traffic stops, but I was still not coordinating everything just right. As we approached my house at the end of the ride, I decided I was going to focus really hard at getting my left foot unclipped first and putting it down on the ground. The funny thing is when you concentrate on one side, you tend to forget the other side. Which is what I did. I did everything right on the left side, but when I tried to put my right foot down it was still clipped in. And you know what happens when you have just the slightest bit of momentum going and one of your feet gets tripped up. You go down. It was the proverbial slow motion - I could see it happen before it did. There was that "noooooo" moment and then I was on the ground. The good thing is, I'm fine. Bumps, bruises and a sore ego. I have a ginormous purple bruise with a nice circle in the middle - figured out that's where the bottom of the handlebar hit me!! Some road rash on the knee, bruise on my hand, sore tricep. It's all healing now. But I always learn from my mistakes. 1. With biking - you can't just concentrate on one side. You have two sides and they both matter. With reading - you can't just concentrate on figuring out the words or just paying attention to what the story is about. They work hand in hand. You need them both to understand the story. 2. With biking - I'll get better at this. I need consistent practice. I know after I do it enough times, it will be muscle memory and become something I can do without thinking about it. With reading - a reader needs to read. The more you read, the easier it gets and the better you become. 3. With biking - sometimes you fall. But get up, do it again, don't give up. With reading - reading can be hard and it can try your spirit. But you try again, don't give up. I'm going back on my bike tomorrow. I will encourage all readers, whether it's hard or easy, to do the same!